This tutorial is part of our tutorial series on WordPress Security. 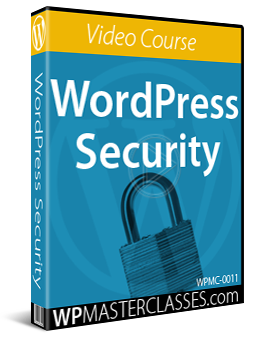 Please also review our WordPress Security Guide For Beginners and our free WordPress Security Checklist. In this tutorial, we explore different types of WordPress security plugins that help to protect and keep your digital presence secure. Note: Security plugins alone do not provide a complete website security solution. 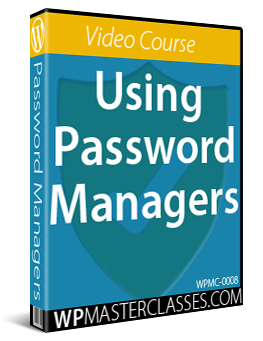 See the tutorials in the WordPress Security training module to gain a better understanding of how security plugins fit into your overall website security plan. WP Site Guardian is a ‘must-have’ security plugin for all WordPress users. It is a proactive anti-exploit plugin that monitors & blocks hackers based on behavior. When any suspicious activity is detected the visitor IP is instantly blocked and the hacker is banned. 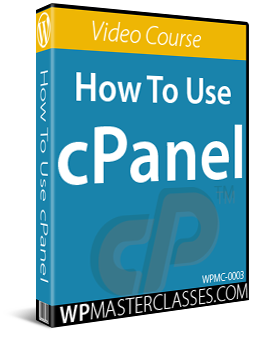 This prevents the exploit from executing and also shuts down all further hacking attempts. By eliminating the exploit and the bad user, the risk of your site getting hacked is greatly reduced. This is the only plugin on the market that offers active protection against current and future exploits as it looks at visitor behavior rather than the attack code and the only security tool for WordPress that provides real time intrusion detection, live exploit attack blocking and intruder attempt notifications. EXPLOITS (92% of direct hack attacks) – Badly written plugins/themes allow a hacker to execute a command/script that gives them control of your site. 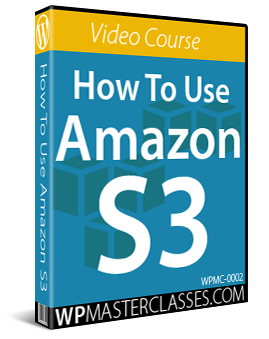 Most popular security plugins & services don’t offer any protection against this. BRUTE FORCE ATTACKS (8% of direct hack attacks) – Multiple attempts to guess your username/password & take control of your site. Most popular security plugins & services are good at blocking this attack but can’t deal with new amplified XMLRPC attacks. DDOS – (Distributed Denial Of Service i.e. “break the site” hack attacks) – This is where hackers attempt to flood your site with too many requests so your server falls over. Plugins can’t deal with this attack … you would need to use a third party service like Cloudflare or bespoke hardware protection. Michael Thomas & Chris Hitman, specialists in IT/security and the plugin developers found that some of the best security plugins were completely ineffective against exploits. In fact, they even managed to hack sites with Cloudflare & cache running and have posted a video on their website that shows this. We highly recommend installing this security plugin on your WordPress site. Many newbie hackers use low sophisticated methods like scanning sites for vulnerabilities and deploying basic exploits to take control. many of these methods can be deployed as easily as looking through the site code to see what themes or plugins your website is running and downloading free scripts that can take advantage of known vulnerabilities and help them break into your website. WP-Shields-Up performs one-click security fixes automatically and can be easily installed and activated on your WordPress site. BulletProof Security is designed to be a fast, simple and one-click security plugin that adds comprehensive website security protection for your WordPress site. The Acunetix WordPress Security plugin is a free and comprehensive security tool that scans your WordPress installation for vulnerabilities and suggests corrective measures for weak passwords, secure file permissions, database security, version hiding, WordPress admin protection and more. 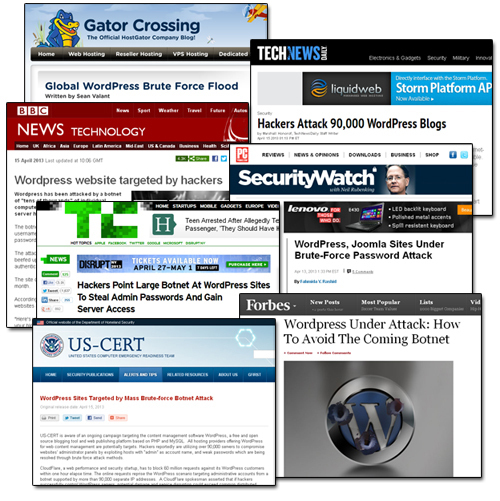 Protecting your WordPress site from brute-force attacks is one of the most important security precautions you can take. This plugin monitors your WordPress installation for added, deleted, or modified files. When a change is detected an email alert can be sent to the email address you specify. Exploit Scanner can help detect damage done to your site so that it can be cleaned up. This plugin searches the files on your website and the posts and comments tables of your database for anything suspicious. 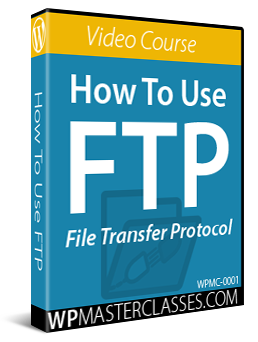 It also examines your list of active plugins for unusual filenames. Exploit Scanner does not remove anything from your site. It only presents the results so you can decide what action to take. Antivirus protects your WordPress site against exploits and spam injections. It will scan your theme templates for malicious injections automatically, every day. This plugin helps to identify content theft from your site. It works by extending your content feed with unique identifiable content that automatically gets added to every post in your copyright notice. Additionally, you can add an identifiable “digital fingerprint” and the IP of the feed reader. The plugin can then be configured to scan search engines in order to find possible content theft. The feed can be also be supplemented with comments and topic-relevant content. 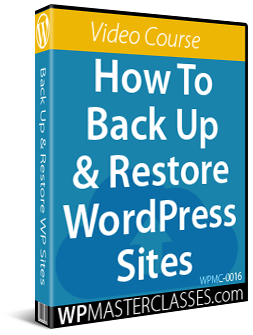 Backing up your database and files on a regular basis is an important part of the process of keeping your WordPress site content protected. Spam has traditionally been viewed as more of an inconvenience than a security risk. It can be argued, however, that spam does indeed pose a security risk for online users. For example, spam comments left on WordPress sites can send visitors to sites infected with malware. These sites can then use sophisticated ‘phishing’ methods to deceive users into downloading files containing viruses, worms and other malicious code that can turn their computers into ‘slave devices’ for hacker bots, which then multiply and increase the frequency of attacks and security exploits worldwide on websites. Akismet is the anti-spam program that comes pre-installed with WordPress. All it requires is activation. 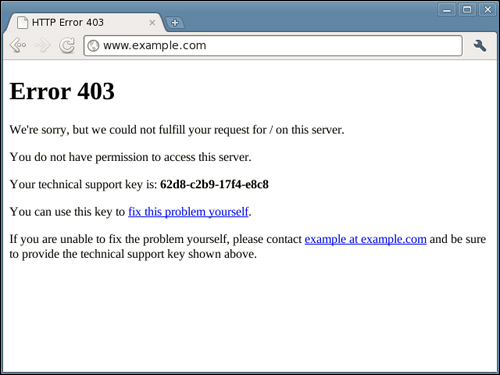 To activate Akismet, you will need to get an API key, which is an access code you can download for free from WordPress.org. Once activated, Akismet will filter out your spam comments and send them directly to the trash. This plugin is extremely effective at dealing with spam. Note: Akismet is free for most users (sites that make less than $500/mo are considered “personal” use), but there’s a charge for high traffic profitable blogs (“business” use). Bad Behavior blocks link spam and the robots which deliver it. Thousands of sites both large and small use Bad Behavior to help reduce incoming link spam and malicious activity. In addition to offering the basic spam-blocking features, the Bad Behavior plugin also helps to improve your site’s load time, makes your site logs cleaner, and can help prevent denial of service conditions caused by spammers. 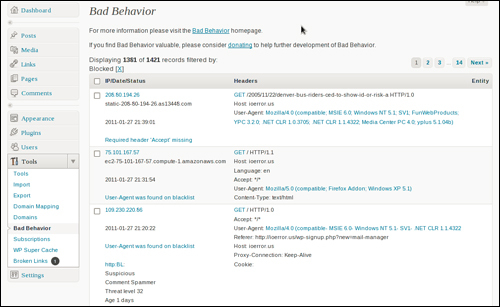 Installing and configuring Bad Behavior is very simple and takes only a few minutes. In most cases, no configuration at all is needed. You can simply install and activate the plugin, and you’re done. Bad Behavior will then automatically protect your posts, pages, and feeds from spam. Plugin installation and usage documentation can be found here. Note: Because Bad Behavior blocks anything it suspects to be spam, the plugin has been known to create conflicts and issues with other plugins, and to block other sites that need to access your site (e.g. Google search engine spiders). Use this plugin with caution, and if you suspect it is causing issues for you, disable it and contact the plugin software developer. 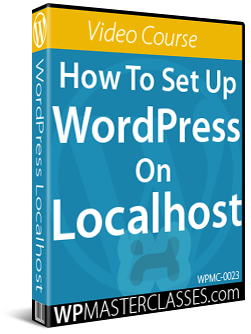 We hope that you have found this tutorial on WordPress security plugins useful. We suggest going through the individual plugin tutorials in this section and installing one or more plugins to keep your WordPress site secure and protected from a host of potentially harmful and malicious activities.